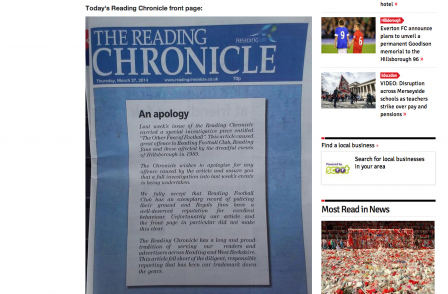 The editor of the Reading Chronicle has been suspended and the paper today published a front page apology for linking the Hillsborough tragedy with hooliganism. 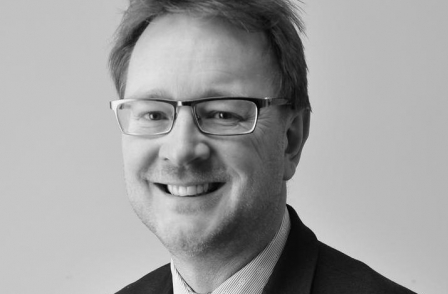 Editor Maurice O’Brien has already apologised for last week’s front page piece. He has now been suspended pending an investigation. The story, headlined "The Other Face of Football", prompted Reading FC to "suspend" its relationship with the paper after chairman Sir John Madejski said the club had received several complaints about the article. One paragraph read: "Football hooliganism may be thought of as a relic from a previous age when gangs of denim-clad skinheads held the game to ransom and names like Hillsborough and Heysel were symbols of its ills." The story was illustrated with a mock-up of a Reading FC fan brandishing a weapon. Last week’s issue of the Reading Chronicle carried a special investigative piece entitled "The Other Face of Football”. This article caused great offence to Reading Football Club, Reading fans and those affected by the dreadful events of Hillsborough in 1989. The Chronicle wishes to apologise for any offence caused by the article and assure you that a full investigation into last week’s events is being undertaken. We fully accept that Reading Football Club has an exemplary record of policing their ground and Royals fans have a well-deserved reputation for excellent behaviour. Unfortunately our article and the front page in particular did not make this clear. The Reading Chronicle has a long and proud tradition of serving our readers and advertisers across Reading and West Berkshire. This article fell short of the diligent, responsible reporting that has been our trademark down the years. 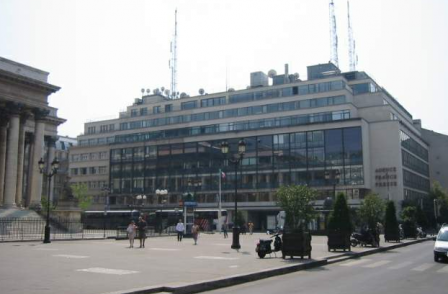 The Reading Chronicle is part of the Romanes Media Group and has a weekly circulation of just under 6,000.